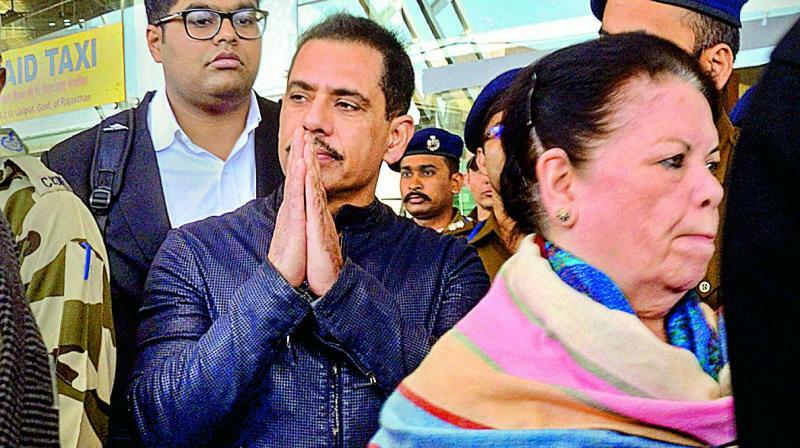 Robert Vadra and his mother Maureen appeared before the Enforcement Directorate at its zonal office in Jaipur in connection with a probe into an alleged land scam in the Rajasthan's border town of Bikaner. This is Vadra's fourth appearance before the agency in the last one week and the first in Jaipur. On the first day of Vadra’s questioning in Delhi last week, Priyanka had accompanied him to the ED's office, sending a "clear message" that she "stands by her husband". For the full stories from 13 other publishers, get Crisp on your smartphone.